In case of cancellation or amendment of the booking, a written notice must be sent to contact@nimmu-house.com as early as possible. Changes on the booking are subject to availability and charges may apply. to availability). Please inform us of any food allergy or meal restriction in advance. We will adapt our fix menu according to your needs. Nimmu House is a century old noble house converted into a charming glamping retreat nestled at 3100m of altitude in the heart of Himalayan panoramas, only 45 minutes from Leh. 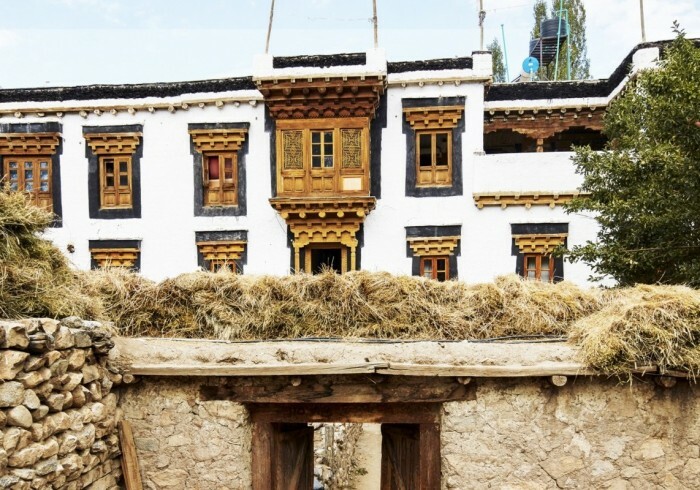 Nimmu House is the ideal place to immerse into Ladakhi culture, discover monasteries, go trekking in the mountains, take time to recharge batteries or enjoying fresh breeze far from the noise of busy cities. The hotel provides an exclusive and convivial atmosphere, with 4 heritage rooms and 7 deluxe tents. Our meals are cooked every day with healthy, fresh and local ingredients which can be served half-board or full-board.